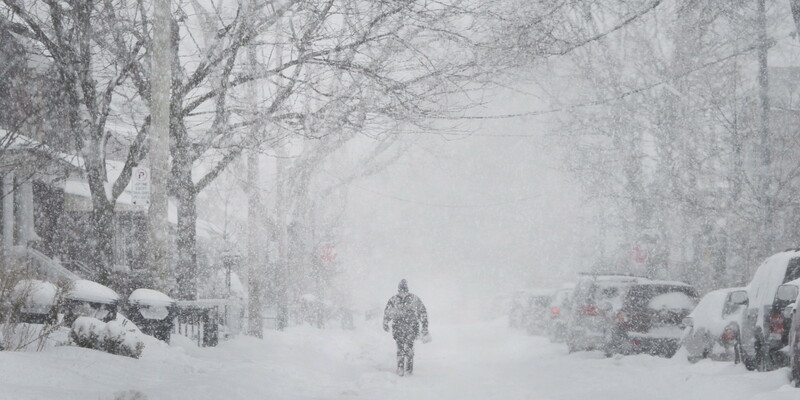 Home Uncategorized Snowstorms 101: What Are Your Responsibilities? The winter weather in Ottawa can be beautiful at times – think skating on the Rideau Canal with a flask of hot chocolate in your gloved hand. Sounds lovely, right? But the winter can also be extremely dangerous if you and your business are not properly prepared for it. It is important to keep a close eye on the weather forecast so you know exactly what is heading your way and when. We may be experts in snow removal, but we know that’s not the case for everyone! With that in mind, we have compiled together some advice to ensure that you, your staff, your clients, and your business have a happy and safe winter season. A winter storm watch will be issued by weather networks if snowy and icy storm conditions are expected in the following 12-48 hours. The storm watch may be upgraded to a blizzard watch if snow and wind gusts of approximately 35 mph are expected, which will reduce visibility to less than a quarter of a mile for three or more hours. A winter storm or blizzard warning will be hitting you sooner than a watch. While they are classified the same, a warning means conditions are expected in the next 12 hours, or even sooner. Over the winter season, Marsten Snow Removal Services is on call 24/7 to deal with any emergency snow removal needs you may have. Do not hesitate to give us a call, even at the last minute! Contact us today for a quote.